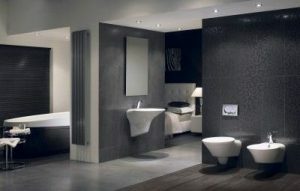 Are you looking for luxury bathroom designs in Hampshire? BST Bathrooms are a premium bathroom design Hampshire service with over 20 years of experience in designing and creating quality bathrooms. We customise your bathroom, wet room, or shower room to fit your purpose and individual designs. At BST Bathrooms, we are specialists when it comes to providing an excellent Hampshire Bathroom Design to suit your budgets and schedule. We’re available 24/7 to design your bathroom and whether you are looking for traditional or contemporary designs; our skilled staff are on hand to help. The bathroom is arguably one of the most important rooms in your house. Restore your tired and worn Hampshire bathroom designs with our fully bespoke service that is tailored to you. We will design and fit your desired bathroom within two weeks of you contacting us. All of your plumbing, tiling, carpentry, and electrics will be fixed and installed by our fully qualified staff. Our dedicated team will take into consideration your requirements and design ideas to create a bathroom fit for you and your family. Why not extend your bedroom with a modern suite? Refresh your Hampshire bathroom design experience by installing or renovating your suite. We can install contemporary designs that will spice up your bathroom experience. Wet rooms are ideal for those who are looking for accessible shower space. Our wet rooms level the shower and the floor, so you won’t have to deal with any obstacles. Our team of dedicated installers will recommend the best bathroom designs in Hampshire to fit your needs. In your very own spa-like environment, our extensive range of styles and designs will make you feel like you’re enjoying your very own pampering experience. Our shower rooms are perfect for those with limited space to install a bath tub. Showers are an increasing commodity in our busy lives and at BST Bathrooms, we tailor your shower room to your lifestyle. Our blend of innovative technology and practical experience means we can construct the finest shower rooms for your home. We provide years of knowledge to ensure your shower is fitted efficiently to provide reliability and comfort in your hectic life. At BST Bathrooms, we have established a well-earned reputation for providing comprehensive Hampshire bathroom designs that are unmatched by any other company around. Many of our jobs come from recommendations made by previous satisfied customers. We pride ourselves on providing the highest quality bathroom designs in Hampshire by ensuring that we use only the finest materials on every job. Check out our testimonials page to see what our customers are saying about our fantastic bathroom designs in Hampshire. Arrange a quotation today by calling BST Bathrooms on 023 8045 3112 or directly on 07968 347 241. Alternatively, you can send an email to info@bst-bathrooms.co.uk. Contact us today to find out more about what makes our Bathroom Design Hampshire services so special. When it comes to choosing a new bathroom, finding a reliable company who can perform all tasks can be difficult. Here at BST Plumbing Services we are fully qualified workmen who can offer a bathroom installation Hampshire with high quality plumbing and every aspect of fitting a new bathroom, all at a price that suits your budget. By using the latest technical equipment, our services are efficient and cost effective, and we promise to never cut corners. When you decide to have a new bathroom in Hampshire, our team are able to design your dream bathroom. At BST Plumbing Services we understand that the bathroom is a very important room in any property, and it should always look perfect. Our design service can help to find the best way to use the space available and even co-ordinate with the other rooms in your property, if you have a certain theme. There is no limit the the design. If you have already chosen a bathroom from another manufacture, we offer an installation only service. With our service, you can expect the best. We are able to fit all aspects of the bathroom, including the bath, sinks, toilet, tiling, electrics and carpentry. The fitting of a new bathroom can be costly, especially if you find you need many people to cover all parts of the installation. At BST Plumbing Services we offer a price for the entire installation before we carry out the work. Any work in a property can create stress for the owner. Our bathroom installation in Hampshire service is tailored to suit our customers; we offer a range of services that will ensure that their bathroom is fully installed to the highest quality. Here at BST Plumbing Services we offer a full setup for those who want us to design their bathroom; or installation only for customers’ already have a bathroom and just need it fitted. Whichever you choose, we are more than happy to install your new bathroom to your specification. With any bathroom, plumbing is essential. Without working plumbing, a bathroom just isn’t right. We believe that a bathroom is more than just a room, it is full of wonders and every part is a new discovery. The taps should be like water fountains, pouring crystal water on your demand; a shower as beautiful as monsoon rain; all the luxuries that you deserve. 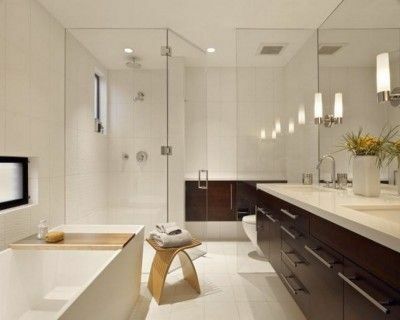 With our plumbing services, we promise that you will experience the most magnificent pleasures in your bathroom. Some companies cater for the disable, others don’t. Here at BST Plumbing Services, we are here for you. If you or someone within your property requires disable adaptions, we can help. No matter the disability, we are able to provide features that will ensure they can use the bathroom safely. We provide details such as grab rails, lower toilets and shower seats, and much more. If you need a bathroom installation Hampshire, call BST Plumbing Services today on 0238 045 3112.